Ayla Akat Ata was born in Diyarbakir, Turkey in 1976. She graduated from Faculty of Law at Dicle University, Diyarbakir. After her graduation she worked in different civil society organisations including Human Rights Association, Social and Law Researches Foundation, Immigration Association and Diyarbakir Women’s Platform. She was also a defense lawyer for Mr. Abdullah Öcalan. She run for parliament elections as an independent candidate backed by the pro-Kurdish party, DTP, in 2007 and served as an MP for the city of Batman in the National Assembly. She was re-elected as an MP in 2011. She took place in the first delegation to visit Mr. Abdullah Öcalan in İmrali Island, known as the first visit to start the negotiation and resolution process in the Kurdish Question. 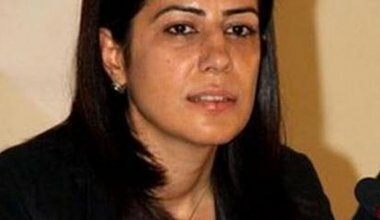 After her parliamentary term ended, she was elected as the spokeswomen of KJA, Free Women Congress, as the largest umbrell -congress of the women in Kurdistan.